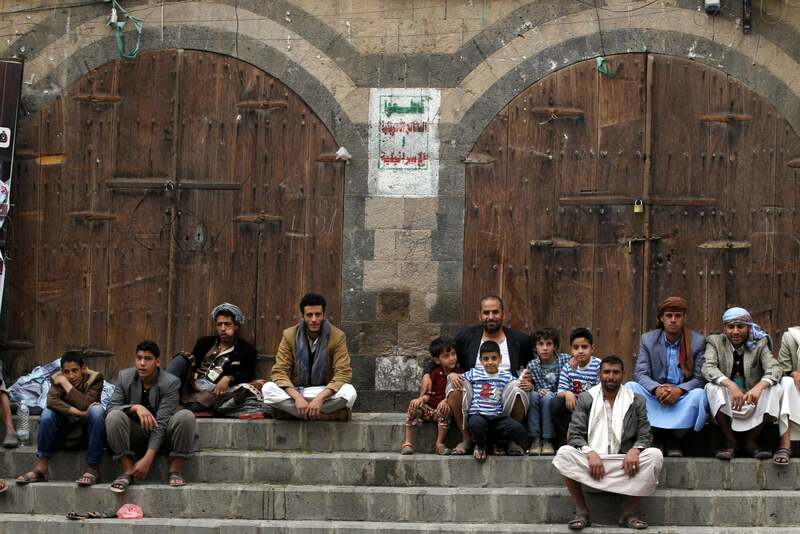 epa06540640 Yemenis sit in front of closed shops at a market in the old quarter of Sana’a, Yemen, 18 February 2018. According to reports, the UN Security Council has approved the appointment of Martin Griffiths of Britain as the new envoy for Yemen, succeeding Ismail Ould Cheikh Ahmed of Mauritania who failed to make progress in diplomatic efforts to end the conflict between the Saudi-led coalition-backed Yemen’s government and Houthi militias who seized control of parts of the country in 2014. EPA/YAHYA ARHAB Dostawca: PAP/EPA. Tak wygląda codzienne życie Jemeńczyków w czasie konfliktu politycznego. 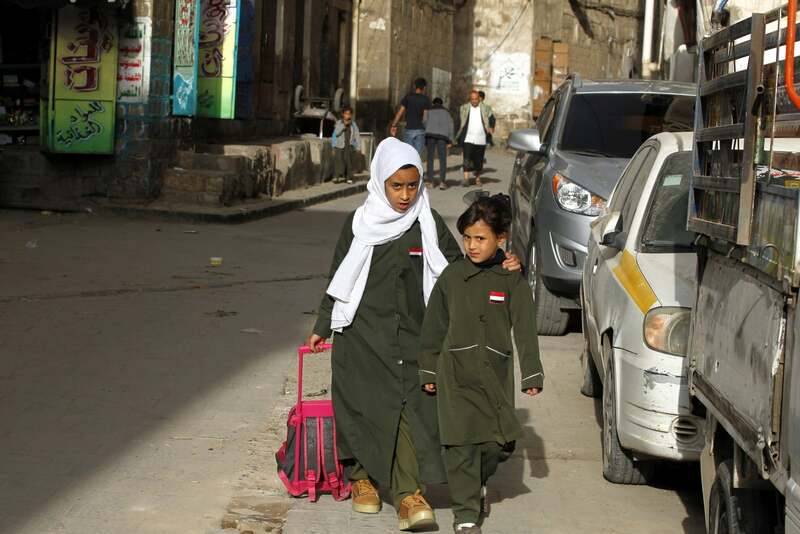 epa06540696 Two Yemeni female students walk through an alley in the old quarter of Sana’a, Yemen, 18 February 2018. According to reports, the UN Security Council has approved the appointment of Martin Griffiths of Britain as the new envoy for Yemen, succeeding Ismail Ould Cheikh Ahmed of Mauritania who failed to make progress in diplomatic efforts to end the conflict between the Saudi-led coalition-backed Yemen’s government and Houthi militias who seized control of parts of the country in 2014. 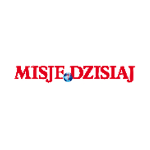 EPA/YAHYA ARHAB Dostawca: PAP/EPA. 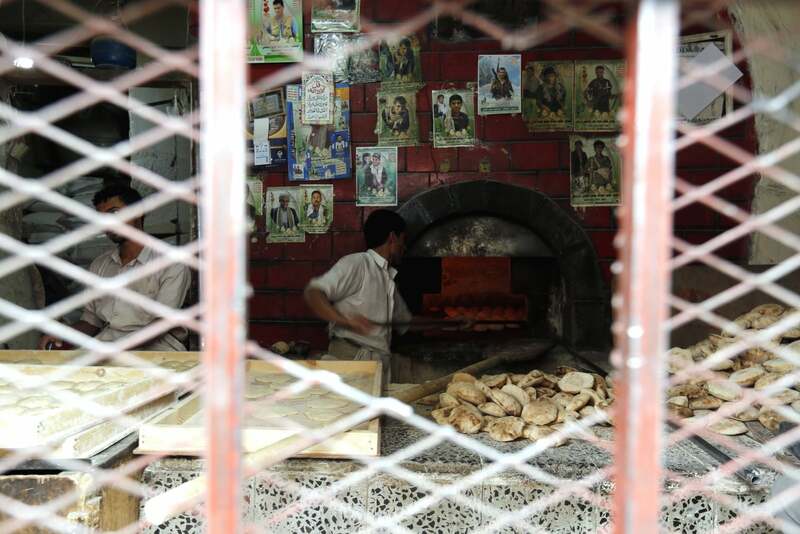 epa06540699 A Yemeni baker prepares bread at a bakery with posters depicting Houthi fighters allegedly killed in ongoing conflict, at a market in the old quarter of Sana’a, Yemen, 18 February 2018. According to reports, the UN Security Council has approved the appointment of Martin Griffiths of Britain as the new envoy for Yemen, succeeding Ismail Ould Cheikh Ahmed of Mauritania who failed to make progress in diplomatic efforts to end the conflict between the Saudi-led coalition-backed Yemen’s government and Houthi militias who seized control of parts of the country in 2014. EPA/YAHYA ARHAB Dostawca: PAP/EPA. 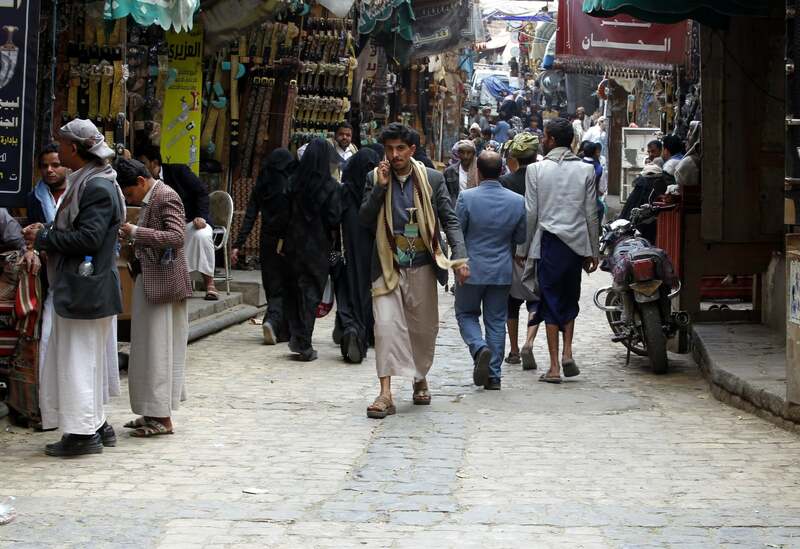 epa06540733 Yemenis walk through a market in the old quarter of Sana’a, Yemen, 18 February 2018. According to reports, the UN Security Council has approved the appointment of Martin Griffiths of Britain as the new envoy for Yemen, succeeding Ismail Ould Cheikh Ahmed of Mauritania who failed to make progress in diplomatic efforts to end the conflict between the Saudi-led coalition-backed Yemen’s government and Houthi militias who seized control of parts of the country in 2014. EPA/YAHYA ARHAB Dostawca: PAP/EPA. 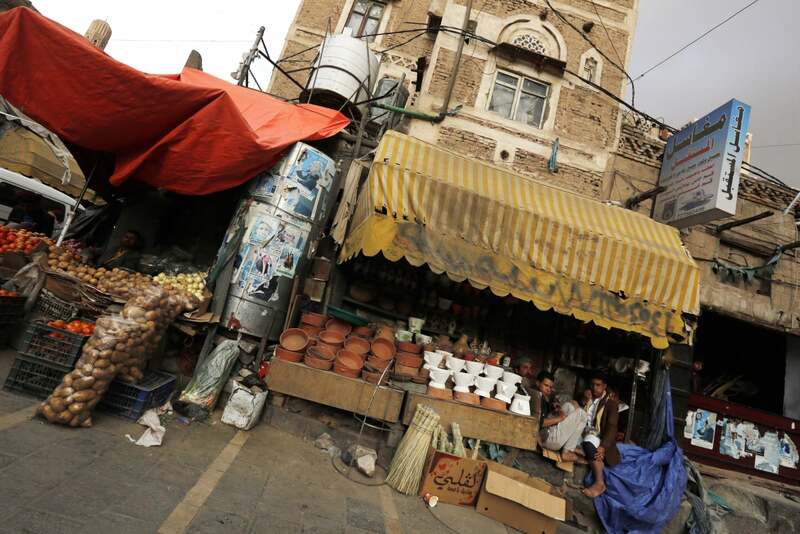 epa06540735 Yemeni vendors wait for customers inside their shops at a market in the old quarter of Sana’a, Yemen, 18 February 2018. According to reports, the UN Security Council has approved the appointment of Martin Griffiths of Britain as the new envoy for Yemen, succeeding Ismail Ould Cheikh Ahmed of Mauritania who failed to make progress in diplomatic efforts to end the conflict between the Saudi-led coalition-backed Yemen’s government and Houthi militias who seized control of parts of the country in 2014. EPA/YAHYA ARHAB Dostawca: PAP/EPA. epa06540776 Yemenis sit in front of historic buildings in the old quarter of Sana’a, Yemen, 18 February 2018. According to reports, the UN Security Council has approved the appointment of Martin Griffiths of Britain as the new envoy for Yemen, succeeding Ismail Ould Cheikh Ahmed of Mauritania who failed to make progress in diplomatic efforts to end the conflict between the Saudi-led coalition-backed Yemen’s government and Houthi militias who seized control of parts of the country in 2014. EPA/YAHYA ARHAB Dostawca: PAP/EPA. 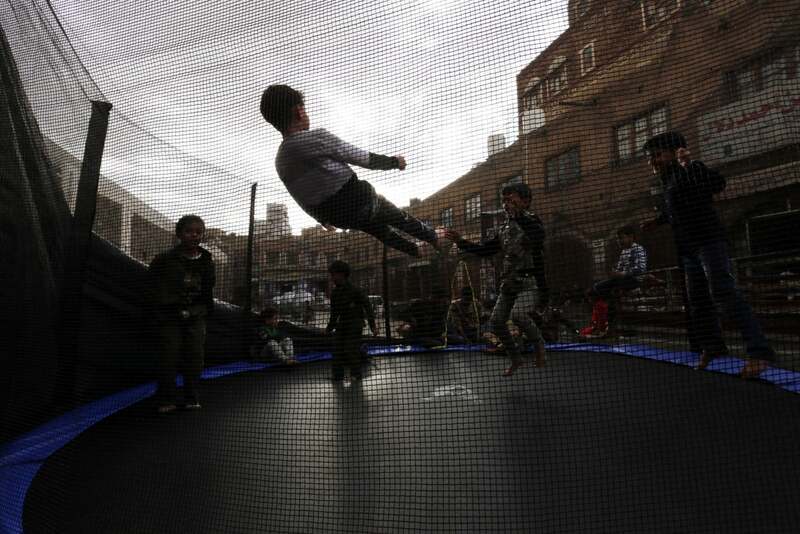 epa06540777 Yemeni children play on a trampoline at a market in the old quarter of Sana’a, Yemen, 18 February 2018. According to reports, the UN Security Council has approved the appointment of Martin Griffiths of Britain as the new envoy for Yemen, succeeding Ismail Ould Cheikh Ahmed of Mauritania who failed to make progress in diplomatic efforts to end the conflict between the Saudi-led coalition-backed Yemen’s government and Houthi militias who seized control of parts of the country in 2014. EPA/YAHYA ARHAB Dostawca: PAP/EPA. 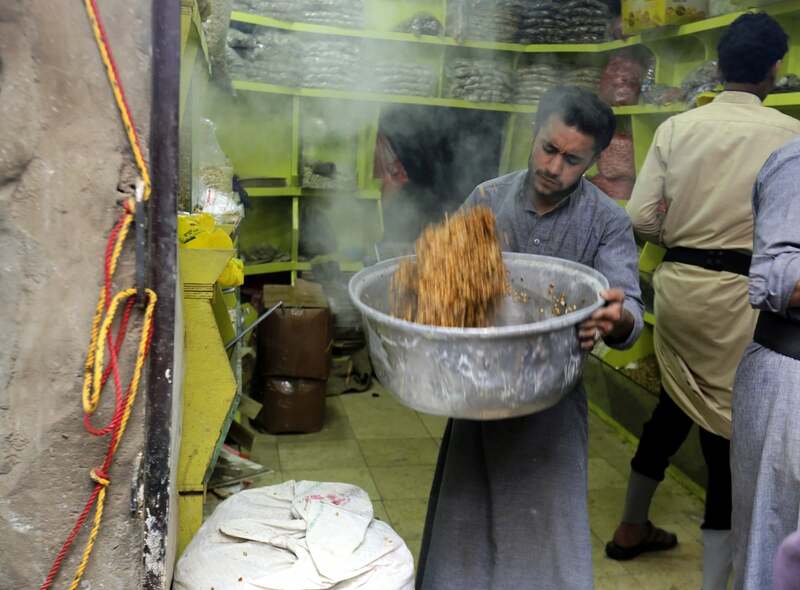 epa06540797 A Yemeni vendor prepares salted seeds of pumpkin for sale inside a shop at a market in the old quarter of Sana’a, Yemen, 18 February 2018. According to reports, the UN Security Council has approved the appointment of Martin Griffiths of Britain as the new envoy for Yemen, succeeding Ismail Ould Cheikh Ahmed of Mauritania who failed to make progress in diplomatic efforts to end the conflict between the Saudi-led coalition-backed Yemen’s government and Houthi militias who seized control of parts of the country in 2014. EPA/YAHYA ARHAB Dostawca: PAP/EPA. 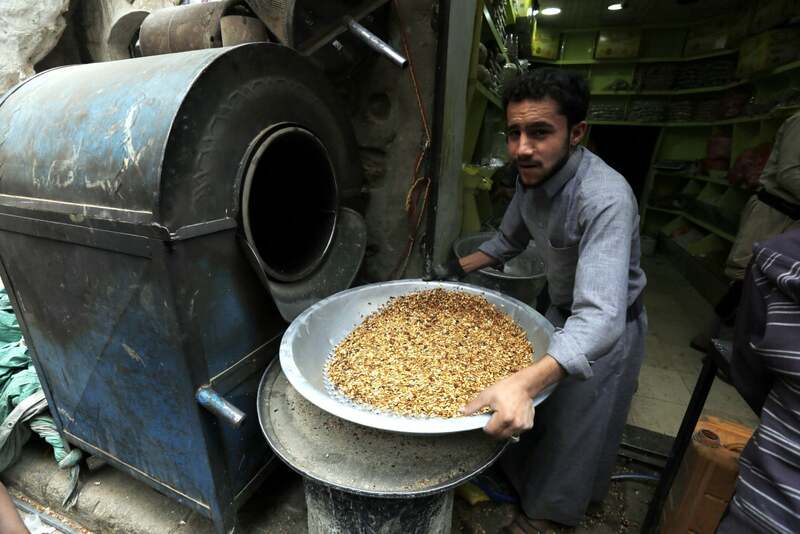 epa06540799 A Yemeni vendor prepares salted seeds of pumpkin for sale inside a shop at a market in the old quarter of Sana’a, Yemen, 18 February 2018. According to reports, the UN Security Council has approved the appointment of Martin Griffiths of Britain as the new envoy for Yemen, succeeding Ismail Ould Cheikh Ahmed of Mauritania who failed to make progress in diplomatic efforts to end the conflict between the Saudi-led coalition-backed Yemen’s government and Houthi militias who seized control of parts of the country in 2014. EPA/YAHYA ARHAB Dostawca: PAP/EPA. 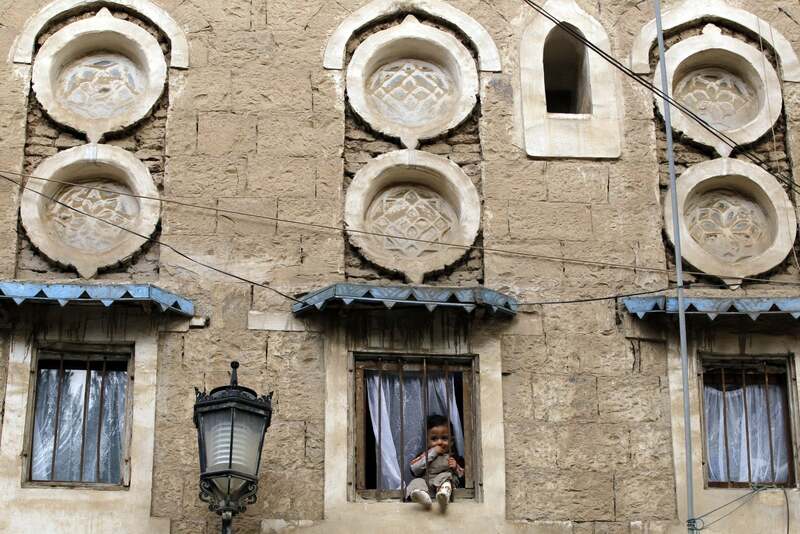 epa06540813 A Yemeni child peers out of a window of a historic building in the old quarter of Sana’a, Yemen, 18 February 2018. According to reports, the UN Security Council has approved the appointment of Martin Griffiths of Britain as the new envoy for Yemen, succeeding Ismail Ould Cheikh Ahmed of Mauritania who failed to make progress in diplomatic efforts to end the conflict between the Saudi-led coalition-backed Yemen’s government and Houthi militias who seized control of parts of the country in 2014. EPA/YAHYA ARHAB Dostawca: PAP/EPA.